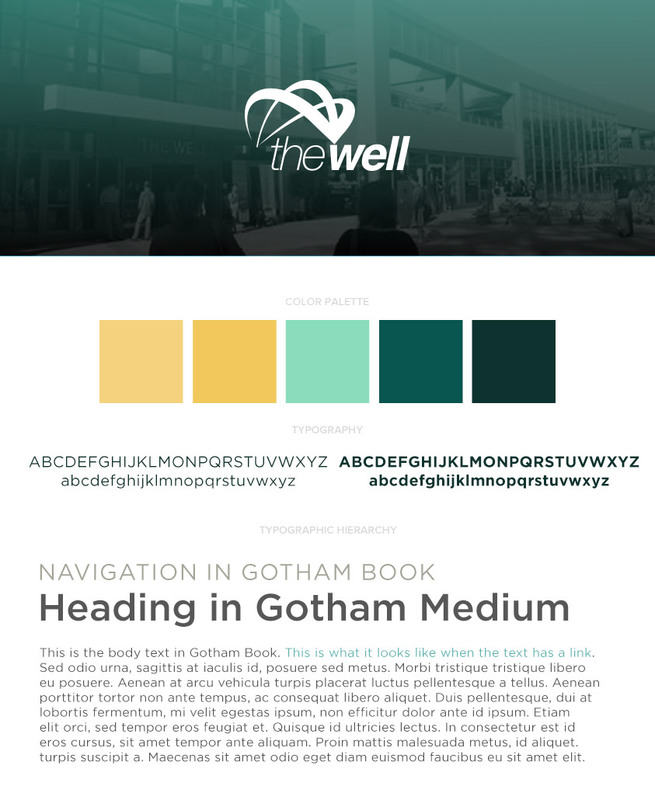 A powerful navigation tool for amenity-seekers. 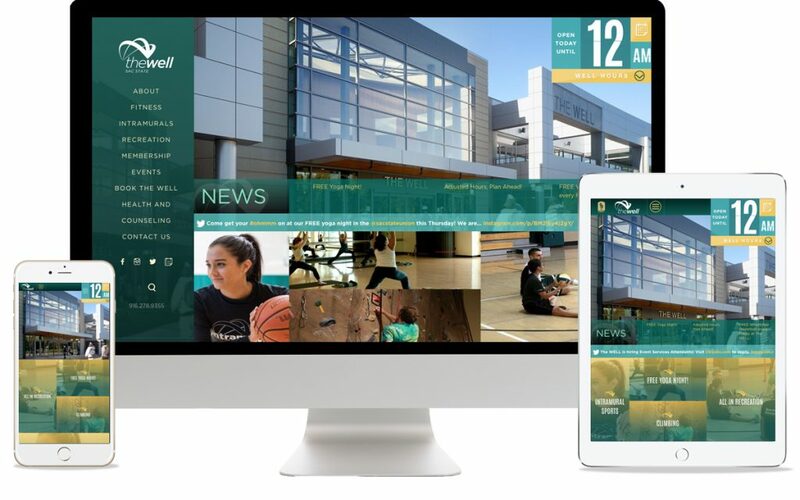 When we began work redesigning the website for The Well, Sacramento State University’s multi-purpose athletic and fitness facility, our aim was to provide content and organizational clarification. 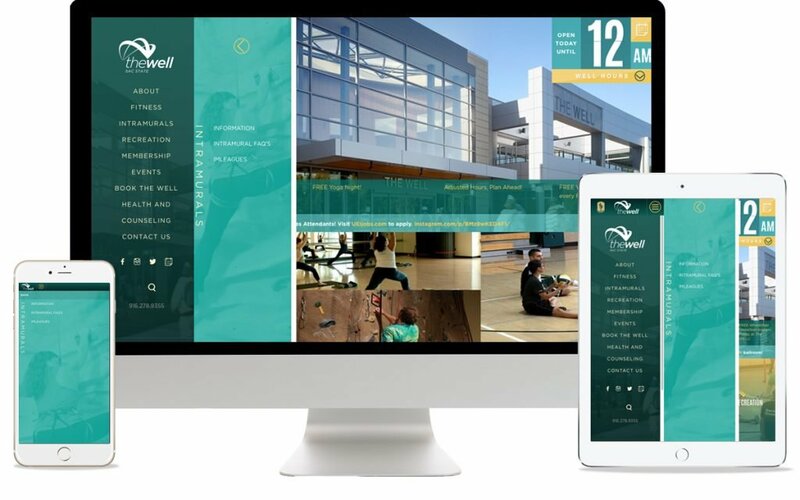 Our job was to fluidly interweave a variety of information: event listings, classes, intramural sporting schedules, and facility details. 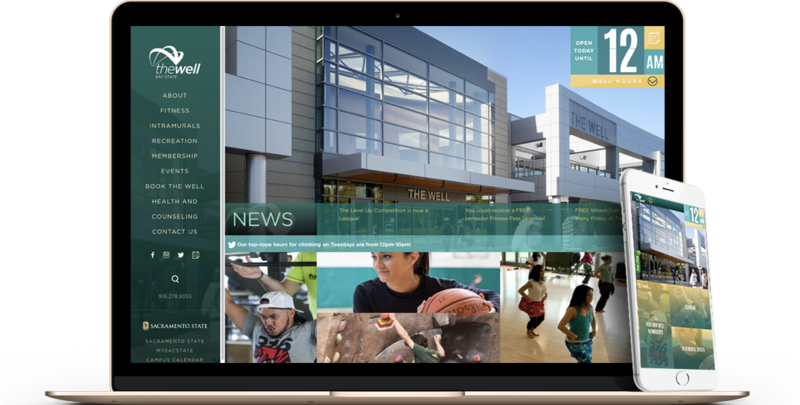 Creating the content narrative was intended as a transparent tool for students who often weren’t aware that their tuition includes membership to The Well and use of its facilities. 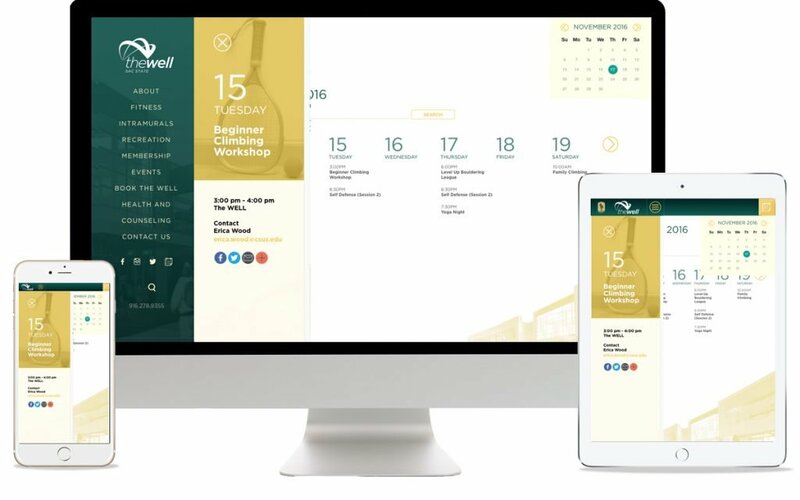 The forthrightness includes The Well’s hours of operation, the ability to quickly scan and enroll in classes, and perusal of amenities available. We began with rounds of focus grouping where we pulled in staff and students to address things they wanted to see on the new site. A card sort, or break-down of individual site elements for reorganization, reduced the site to bare elements. Through this process, we streamlined the elements, trimmed redundancies, and made room for new material. We established a lean repertoire of essential content. In our concise organization, we imagined an incoming freshman would learn on his or her first visit how much The Well has to offer and how to get involved in an activity. 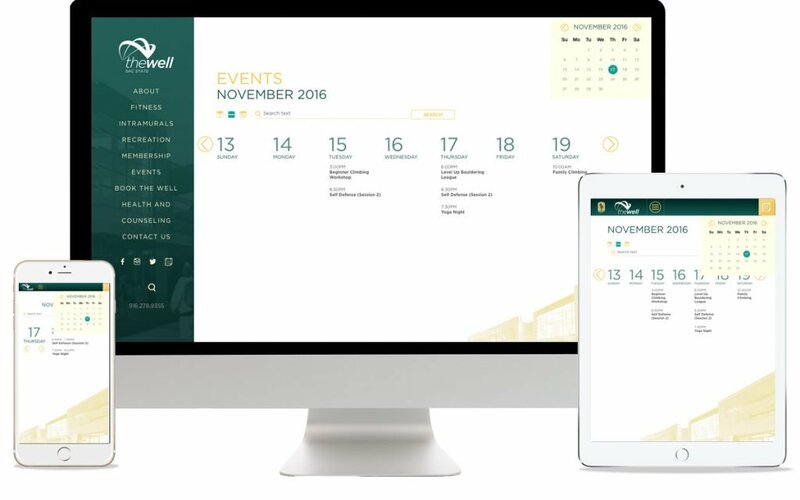 Calendar and the hours of operation that could be accessed from anywhere on the site with one to two clicks. On your desk, in your hand, in your pocket. 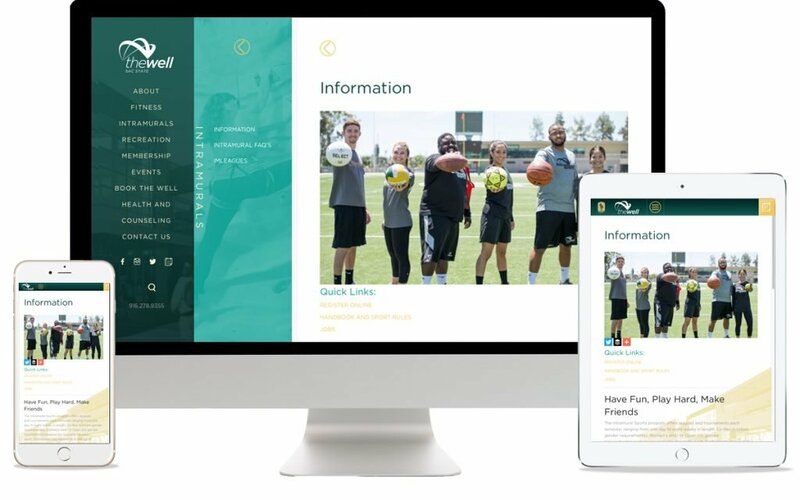 Part of The Well’s mission is to announce events and motivate people to sign up for classes, so we wanted to give the site the structural feel of a bulletin board. This meant displaying a myriad of points of engagement just like you’d see on a wall covered with flyers. We added a dynamic three-item newsfeed on the homepage and an ever-refreshing Twitter feed. With so much revolving information, users are likely to see something new they didn’t previously know was available. The on-the-go bulletin board is meant to provide a simple information display for the student walking across the quad with an armful of books or someone in the middle of a workout at The Well, whether on a computer, tablet, or phone.